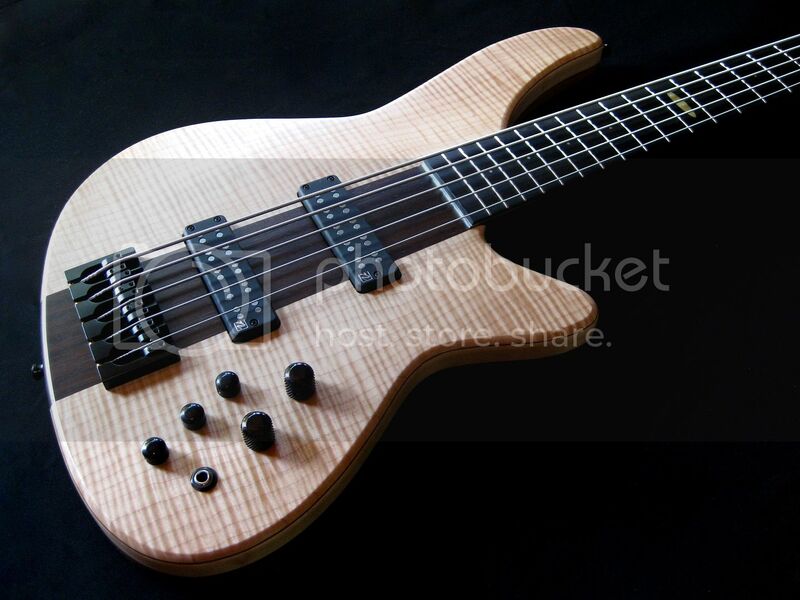 Time to show one of the new ones in the series of 5 string basses that I'm producing at the moment. 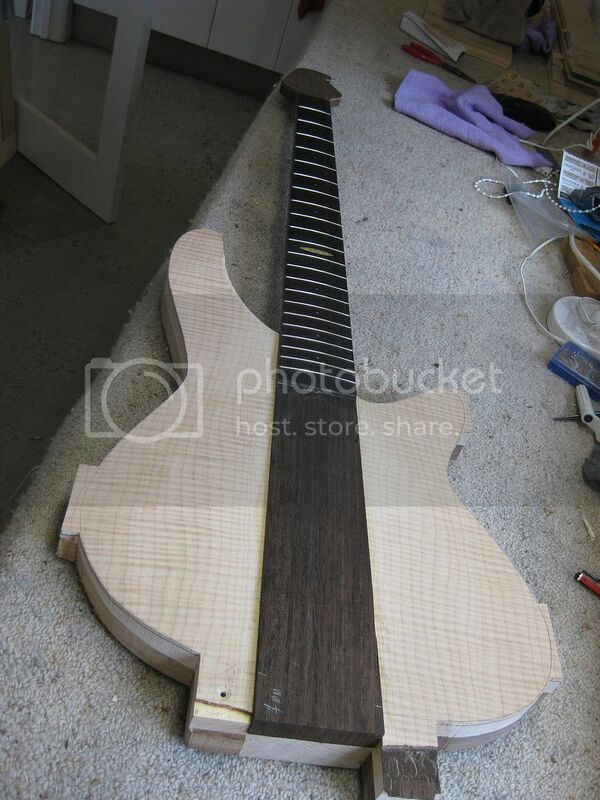 This one is a 5 string double cut 35" scale monster! The neck has been hiding in the group of necks that some of you would have seen coming down the line over the last few months. 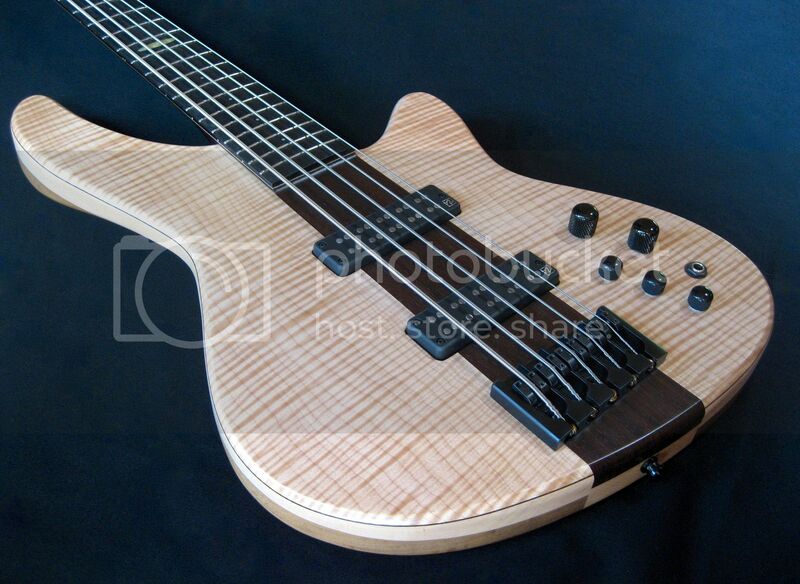 So this bass has the wenge 'neck through' with ebony board that has a maple veneer pinstripe between the board and the neck material. A small detail, but a nice one. The body is one that I haven't revealed as yet. 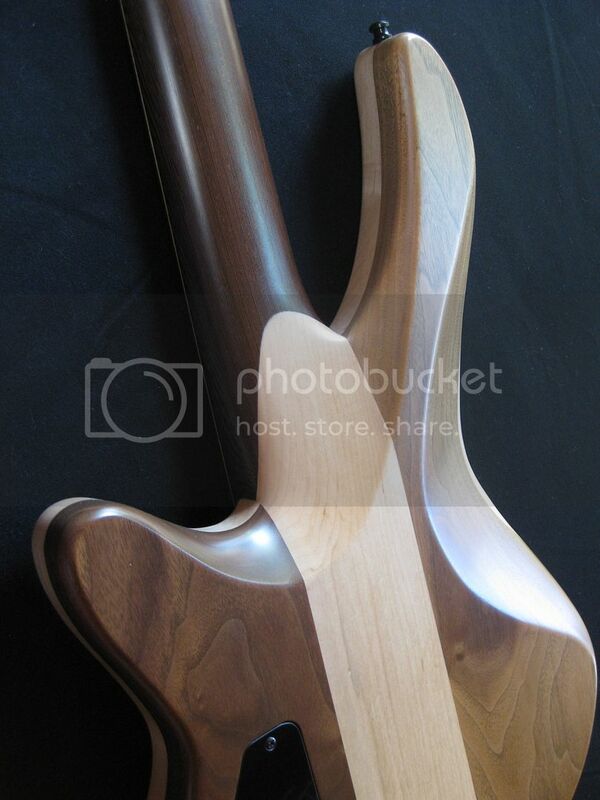 It is made up of American black walnut, a section of plain maple, a veneer of dyed dark brown maple, topped with a 4mm highly flamed maple cap. 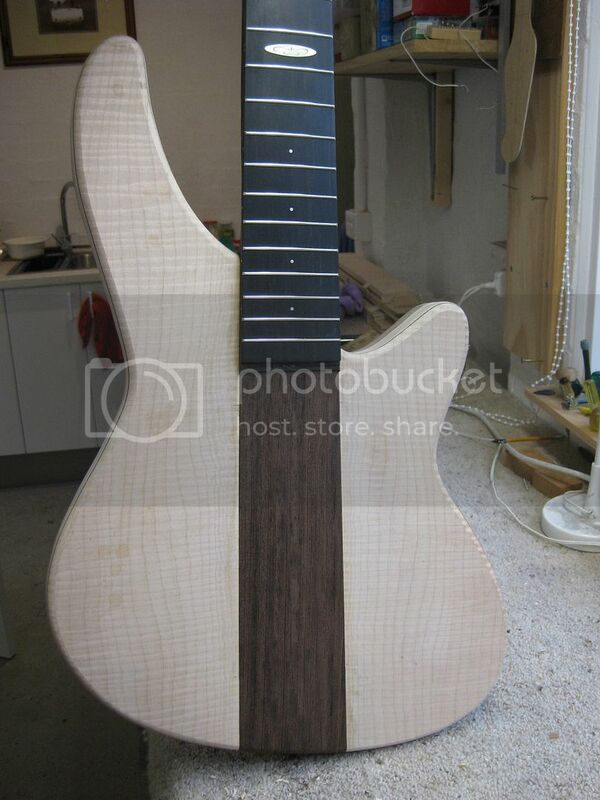 I'm intending with this one to finish it in satin nitro lacquer and let the timber do the talking! No tints, bursts, no nothing! 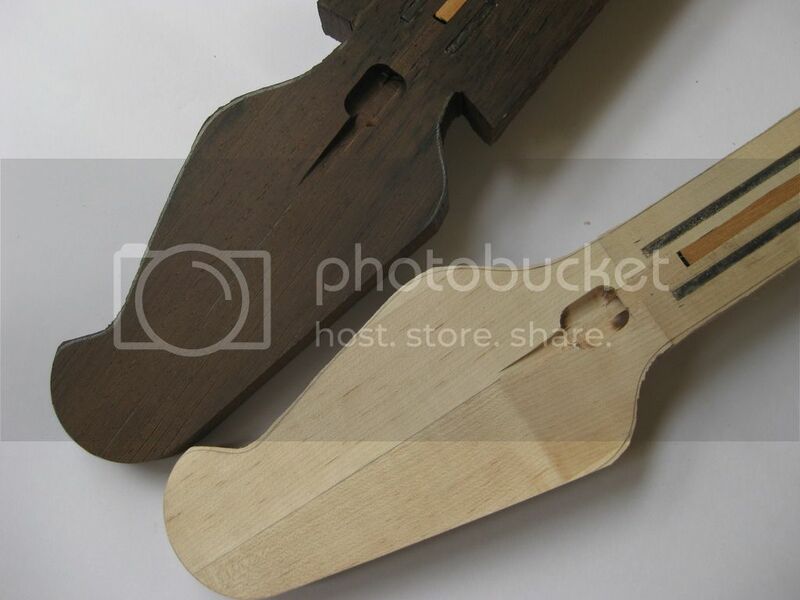 The string spacing for this one will be 18mm at the bridge with Hipshot doing the duties here. 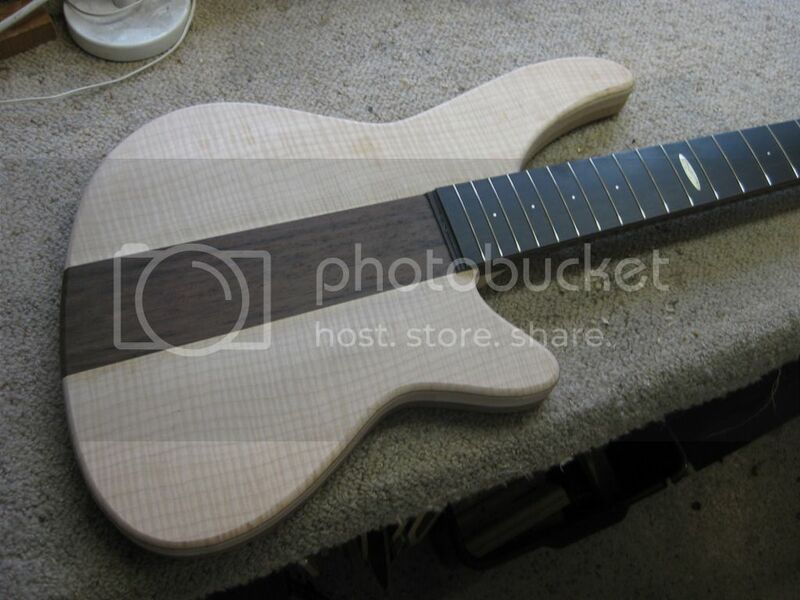 The pickup routes will be like all of the series so far, a pair of P2 sized soapbars that give the future buyer lots of options regarding makes of pickups. Last edited by David Searle Guitars on 05 Sep 2016, 19:50, edited 2 times in total. 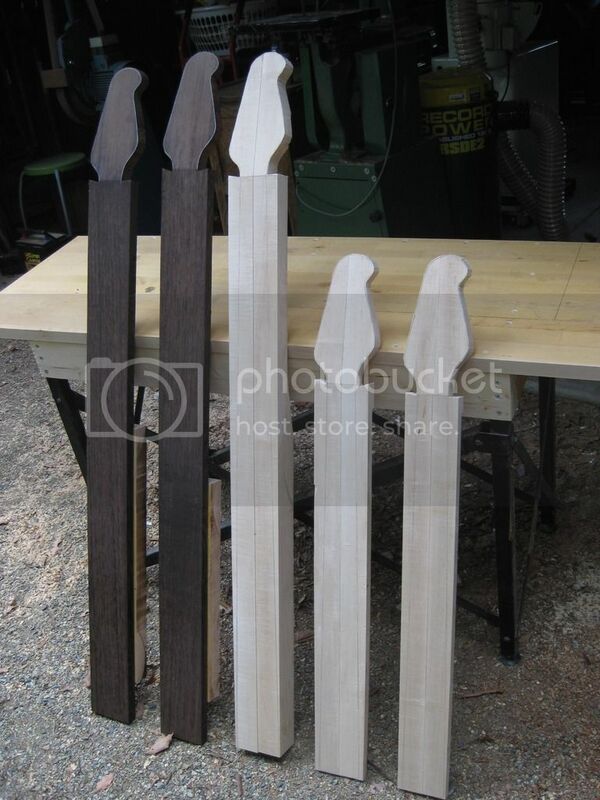 Some picks of the necks. 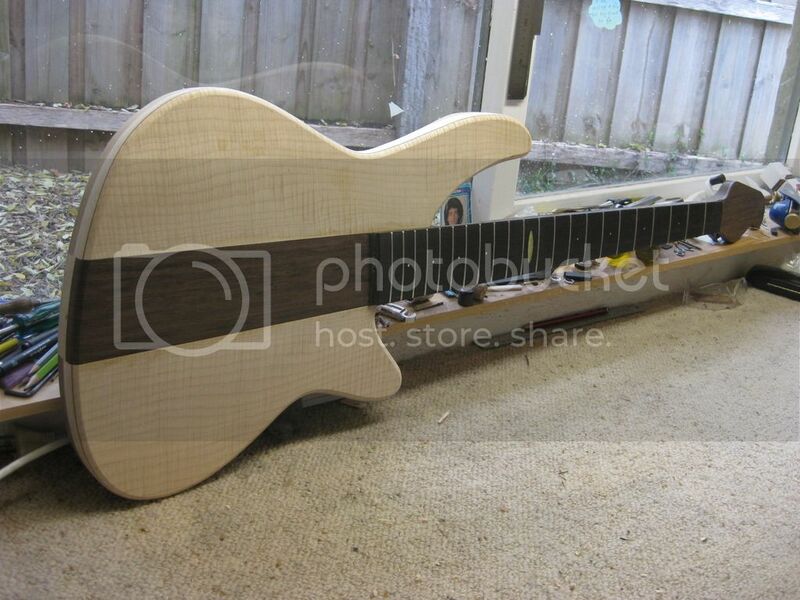 Some shots of the maple body in progress. 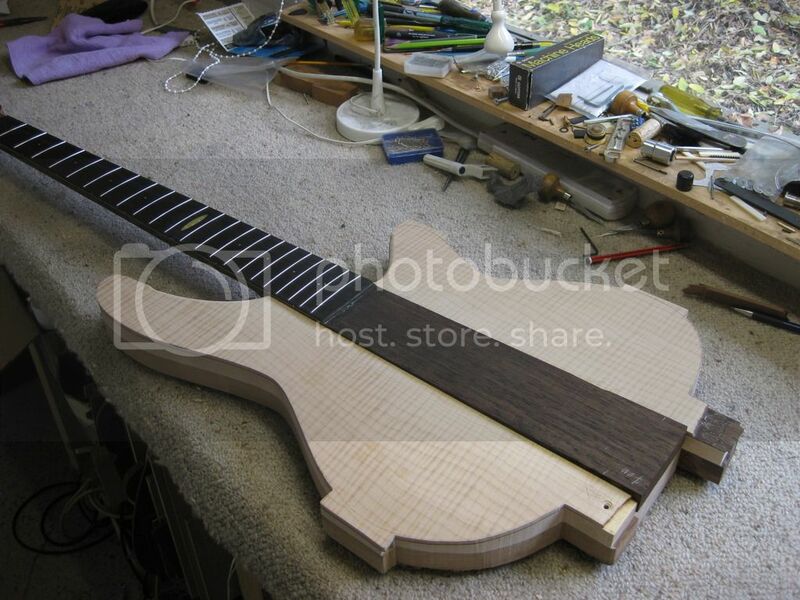 Note: Clamping lobes on the sides to assist with...well...clamping! Last edited by David Searle Guitars on 05 Sep 2016, 19:51, edited 2 times in total. 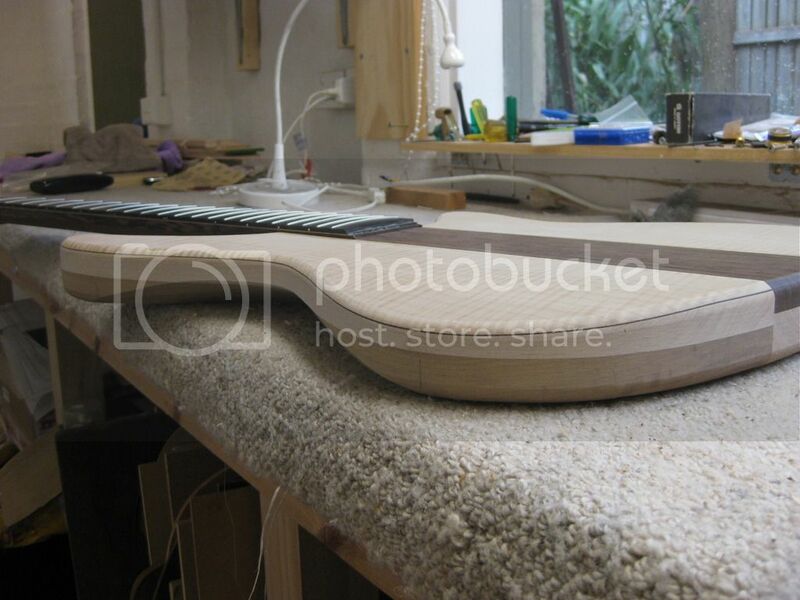 These shots show the body with its centre section machined down and the clamping lobes gone and some edge routing/rounding over. Last edited by David Searle Guitars on 05 Sep 2016, 19:52, edited 2 times in total. Rear sot of the control cavity. This might even fit some of those evil on-board preamp things! Rear shot of the tummy cut. Nice long and deep. 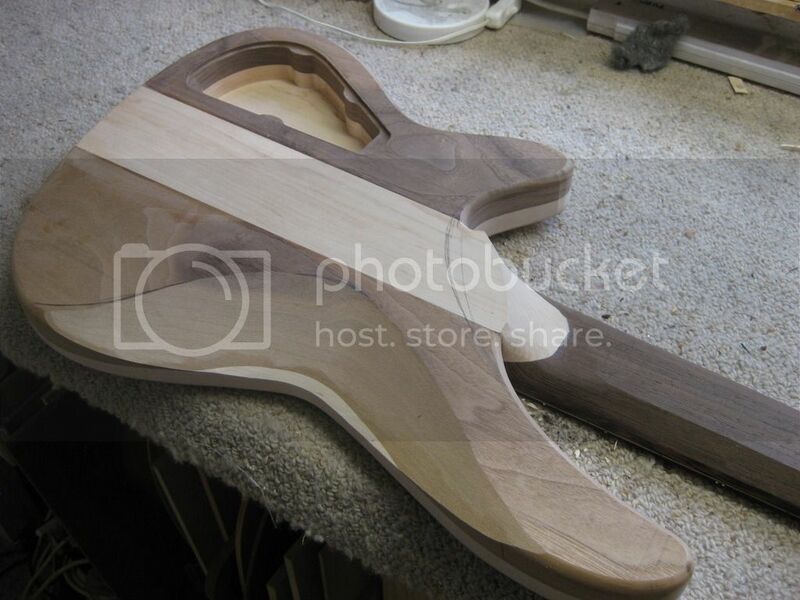 This will be hand shaped and finished. And a final one for now. 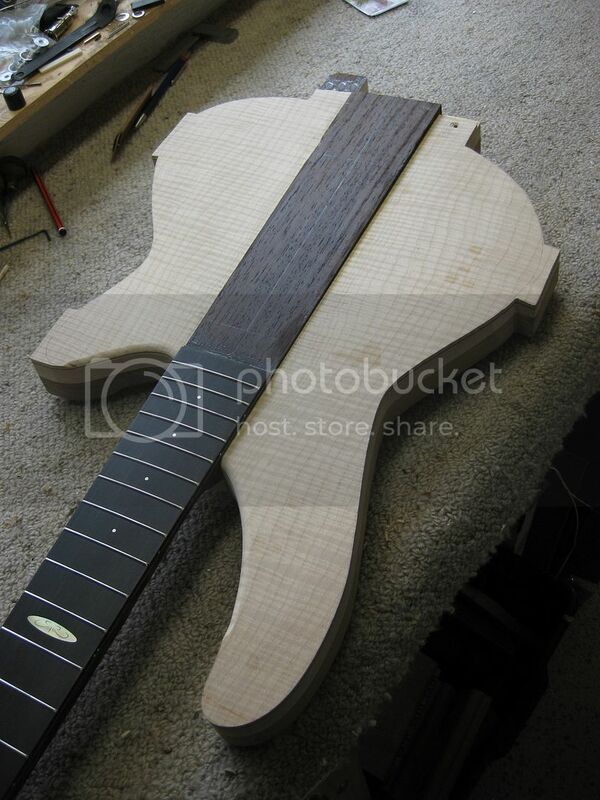 Side shot of the tummy cut. 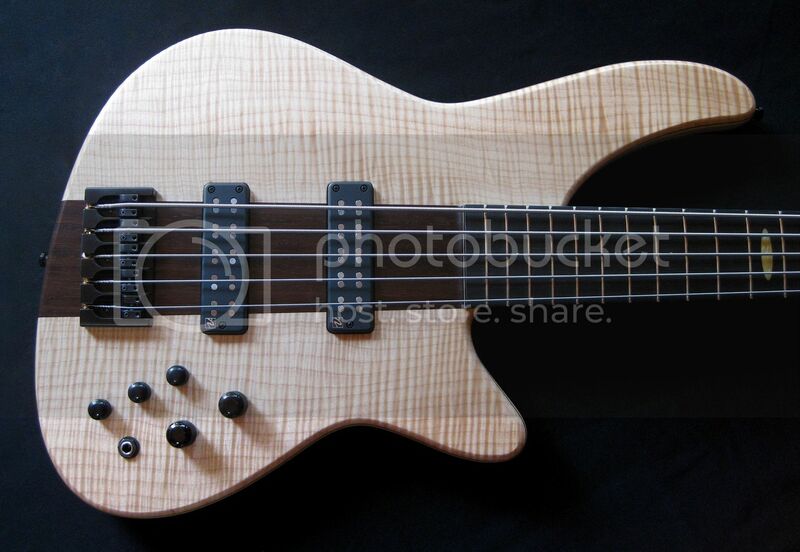 I'm really liking this bass. 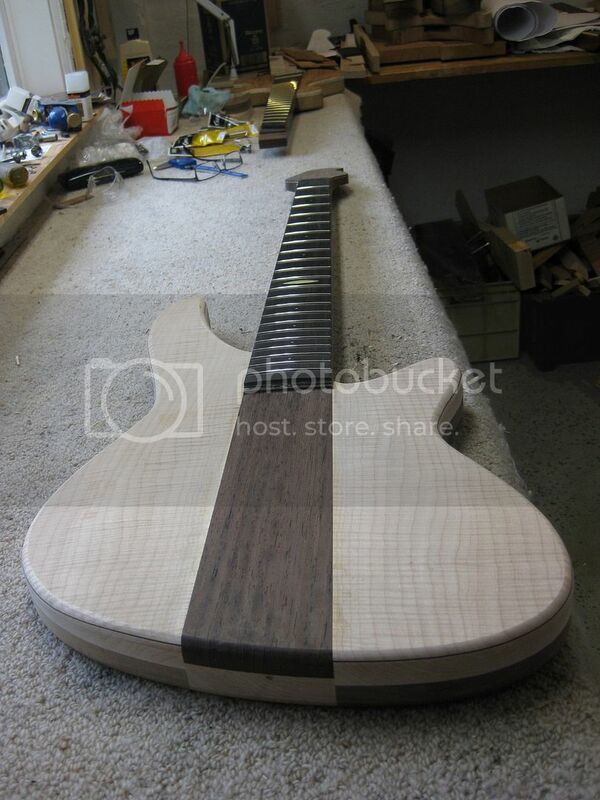 Originally I had intended to use this wenge neck through on one of the single cut 5 strings,but when I matched it up to the white maple top. It just looked too good not to go together. 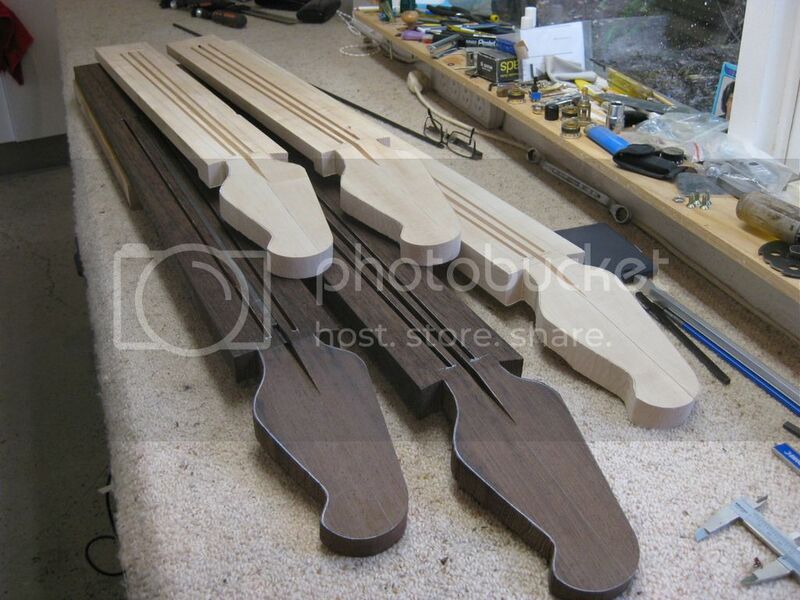 And I should say, that anytime any of you forum members would like to come an see some of these basses in progress in my workshop, I'd be more than happy to spend some time and share a cuppa. What about some back contouring? narcdor wrote: What about some back contouring? I have done this type of body before. 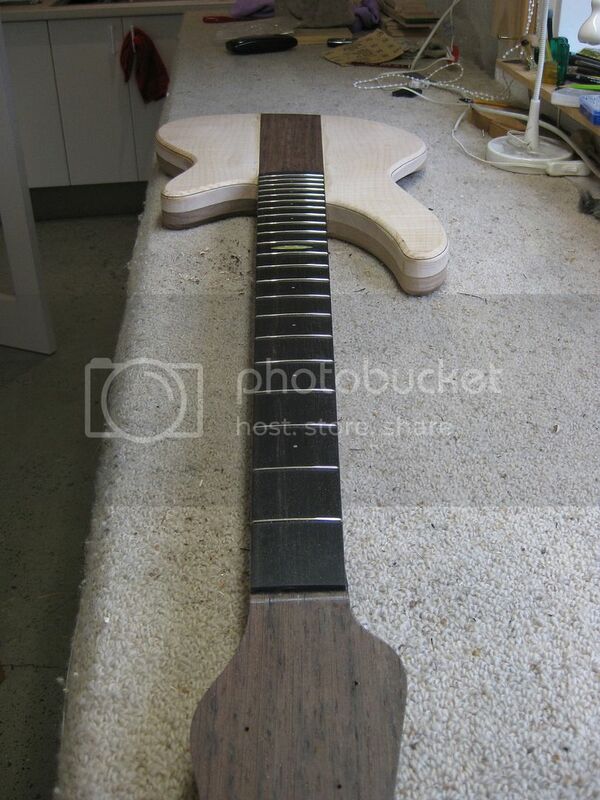 My very first bass many years ago had this. But I like a big traditional tummy cut. And as the years go by, I'm appreciating them more and more!!! Oh, and I'd miss that lovely graceful curve along the top of the body. My favourite bit. I think I might take you up on the cuppa offer Dave. Will try to organize a visit during one of Pete's sessions. 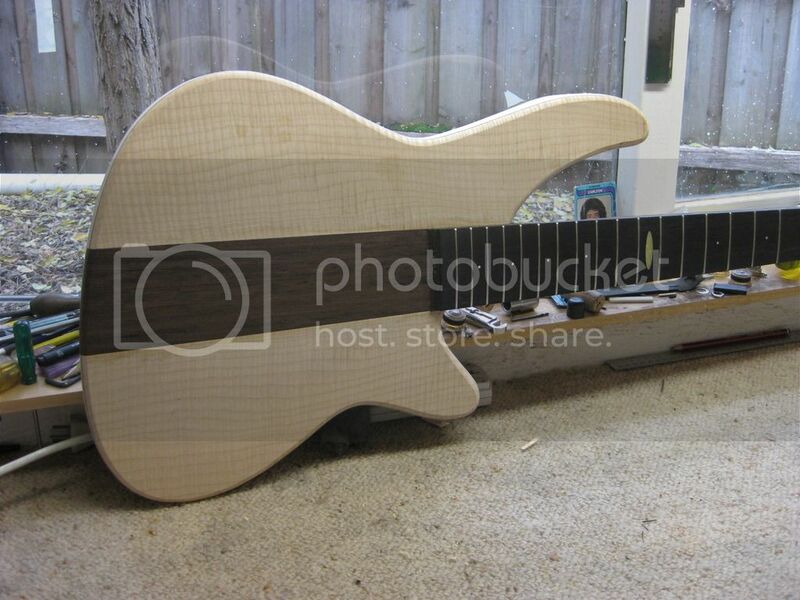 I've finally got around to posting some of the finished photos of this mighty bass! This one has been finished for a few weeks now. So here goes! 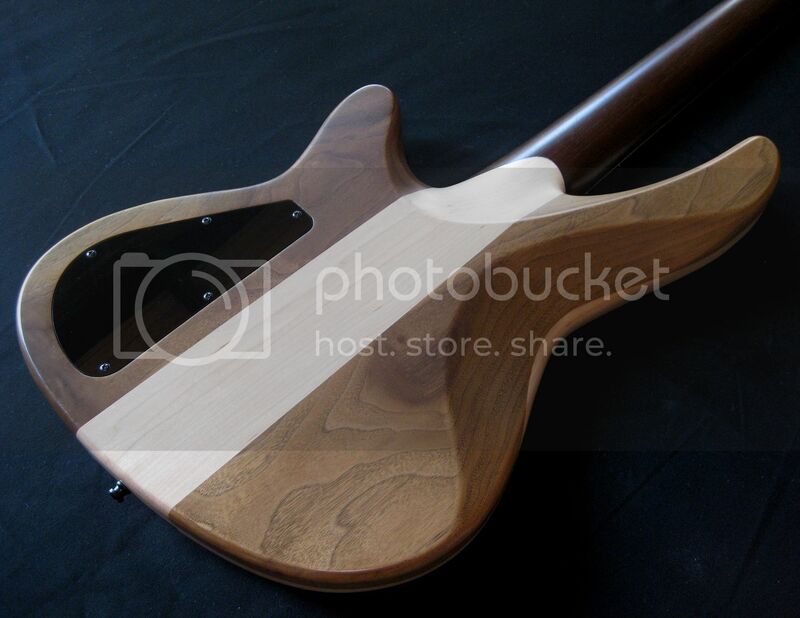 Neck: Wenge with an ebony fretboard (maple veneer pinstripe). 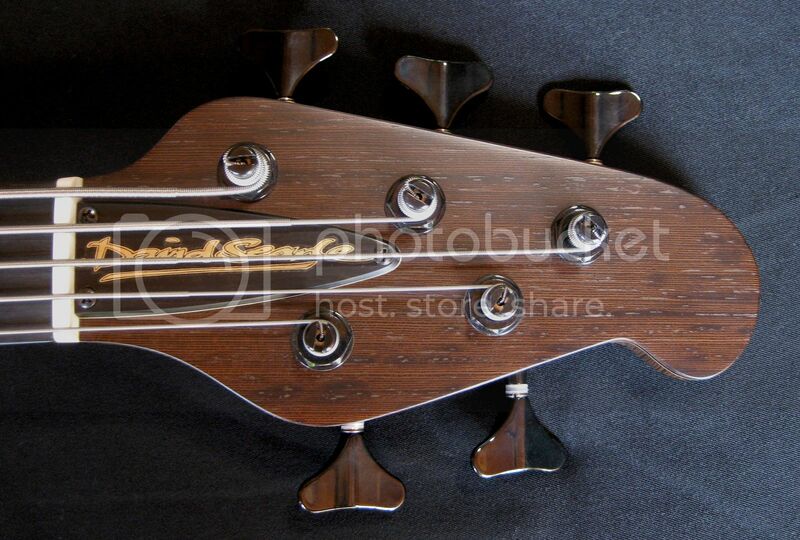 Sterling silver dots with a hand engraved twelfth fret position marker. 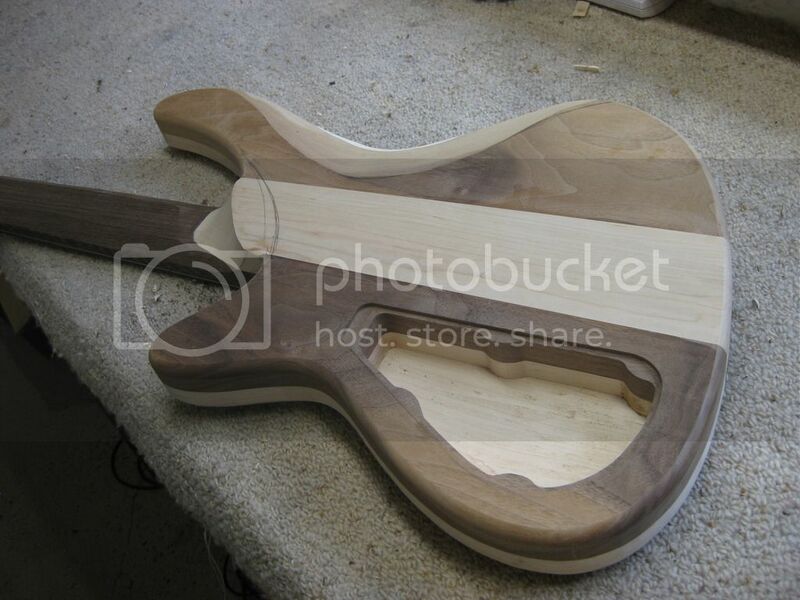 Body: American black walnut, Maple, Black veneer and highly figured curly maple cap. Last edited by David Searle Guitars on 05 Sep 2016, 19:53, edited 1 time in total. Last edited by David Searle Guitars on 05 Sep 2016, 19:53, edited 2 times in total. 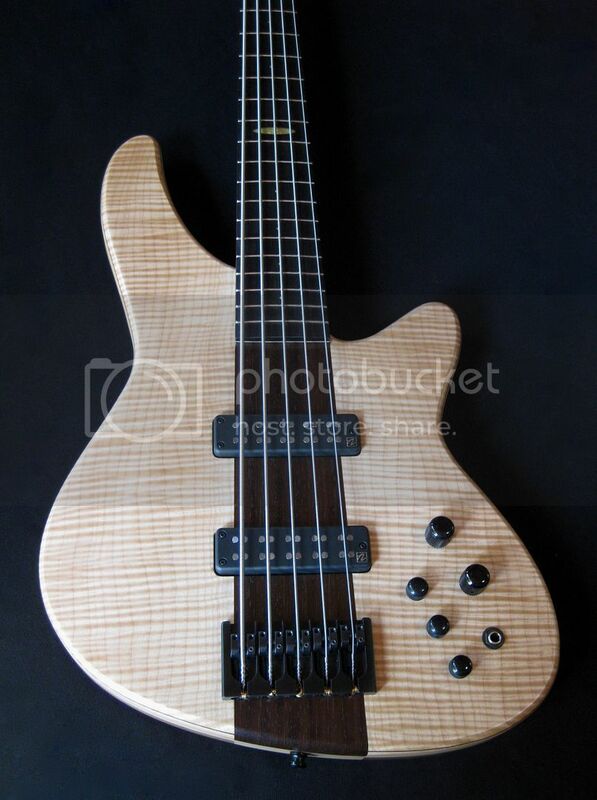 This bass is a beauty to play and has all of the sonic magic that wenge and walnut bring to the party. 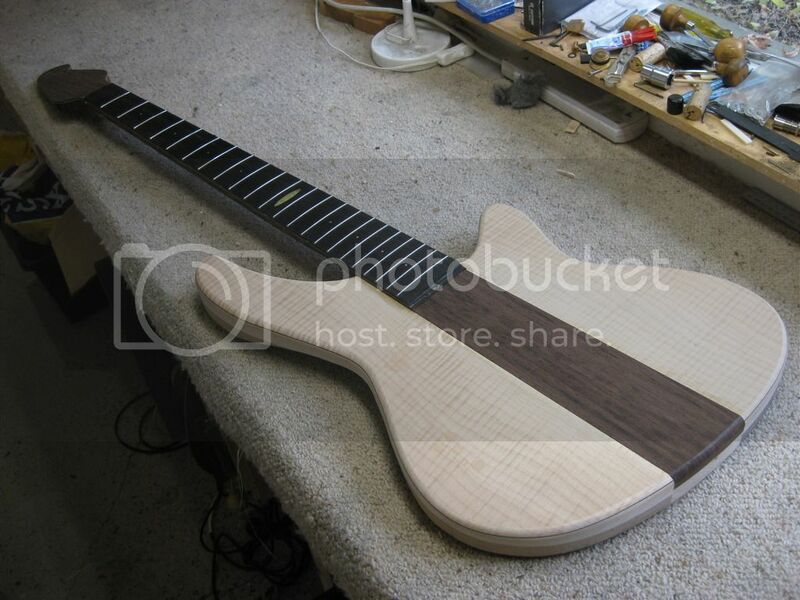 The sound is big and warm with loads of sustain and harmonic content. Come and try it out....if you dare! !